Every night the Thunder takes the court, its mindset is to go out and execute its plan and do its job at the best of its ability, but at times this season the team has missed the mark, and fallen to teams it shouldn’t lose to. 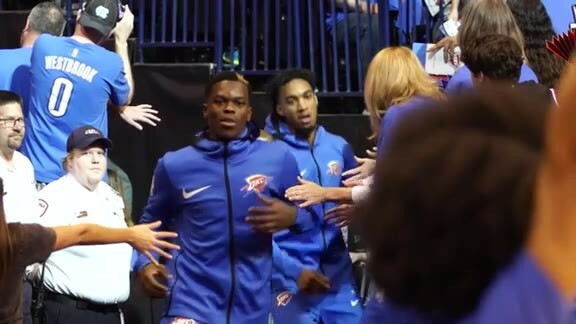 All 30 NBA squads are filled with highly talented and competitive professionals, but the Thunder comes into tonight’s game against the Sacramento Kings with a bit of a chip on its shoulder. Not only did the Thunder fall to the Kings out in Sacramento earlier this season, but this is another chance for the team to get right against a club with a sub-par record. On paper, the Thunder should be the better team, but that won’t mean much if the coaches and players don’t go out and get the job done. On defense, the Thunder will need to pay close attention to the sharpshooting Buddy Hield on the perimeter, and stay in front of De’Aaron Fox so he can’t get driving lanes to the basket. Inside, the Thunder is quite familiar with the bruising style that Zach Randolph brings to the floor, and will have to be prepared to go into battle on each and every possession. As the season has rolled along, but particularly over the last few games and on Saturday in Charlotte, Donovan has employed a few new additions to the Thunder’s offensive playbook. Against the Kings tonight, don’t be surprised to see more of Paul George and Carmelo Anthony with the ball in their hands at the top of the key, handling the ball in the pick and roll with Steven Adams. Based on matchups and defensive weaknesses for the opposition getting more touches for George and Anthony is a good thing for this group, even if its just to help them get into more of a rhythm with the game. With the ball in the hands of some of the Thunder’s other playmakers like Anthony and George, that means a few extra possessions where Westbrook gets to play off the ball. He can be devastating cutting baseline or coming off of screens and catching on the move, and being able to add that wrinkle to the offense can keep opponents on their heels throughout games. Tonight’s game is an extra special one because of when it falls on the schedule – the third Monday of January. That means it’s Martin Luther King Jr. day, and a chance for the Thunder to celebrate the legacy of King and all he did for the United States. In a league that celebrates diversity of all kinds, has expanded to include international players from countries all over the globe, Dr. King’s message of equality and vision of a country that is unified and accepting of differences rather than divided based on physical characteristics is highly valued. For Thunder players, tonight will be quite special. “It’s always special to play on holidays, and it’s definitely special to play on MLK Day. 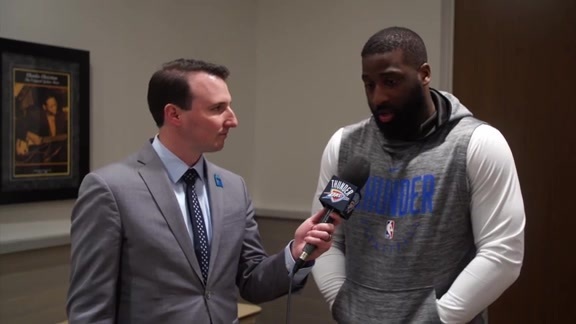 Everybody is not fortunate to play on those days,” Raymond Felton added. “We’ve been blessed this year to play on pretty much every holiday. It’s been fun. I’ve really enjoyed this year, really enjoyed this team. - The Thunder didn’t do much contact in practice on Sunday, but Andre Roberson did participate in all of practice. He still remains out for the game against the Kings, but will be re-evaluated on Tuesday at practice to determine his status for the Los Angeles Lakers game. 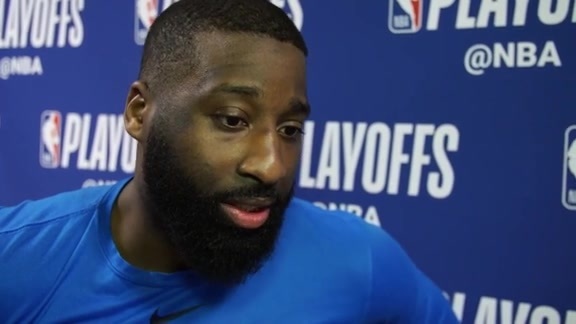 - A big topic of conversation the past two days has been the way Felton manipulated the pick and roll over and over again in that stretch to begin the fourth quarter against the Charlotte Hornets on Saturday. During a 22-6 Thunder run, Felton helped account for 20 points through his own baskets or assists by simply executing the same play over and over again.